Snapshot of data pointers I collected for a project retrospective. 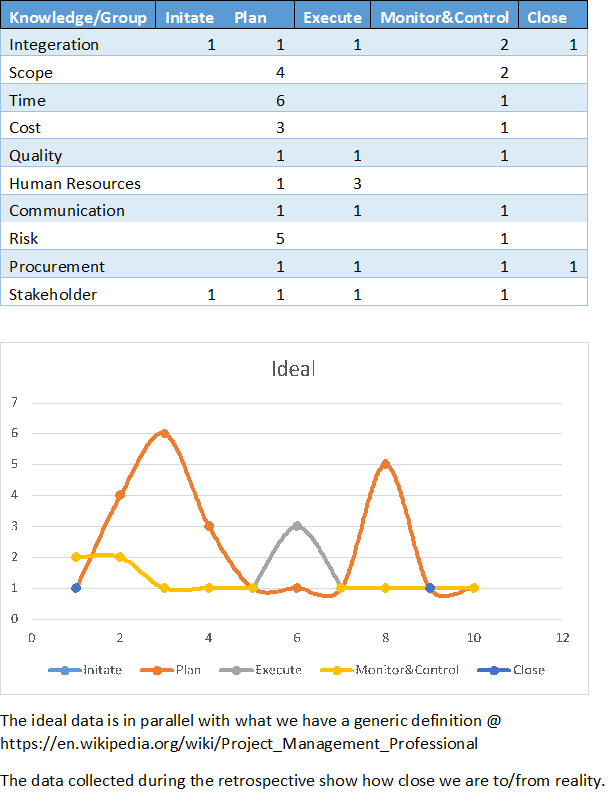 The below data is for the ideal project management knowledge area(10) , against the corresponding process groups(5)., vs the 47 processes itself. Some of my observations, and many more may be let us allow it to decipher and brew over time.. Cost is buffered and pulled. Human resources are not considered as stakeholder. Communicate only when / after in retrospective manner. 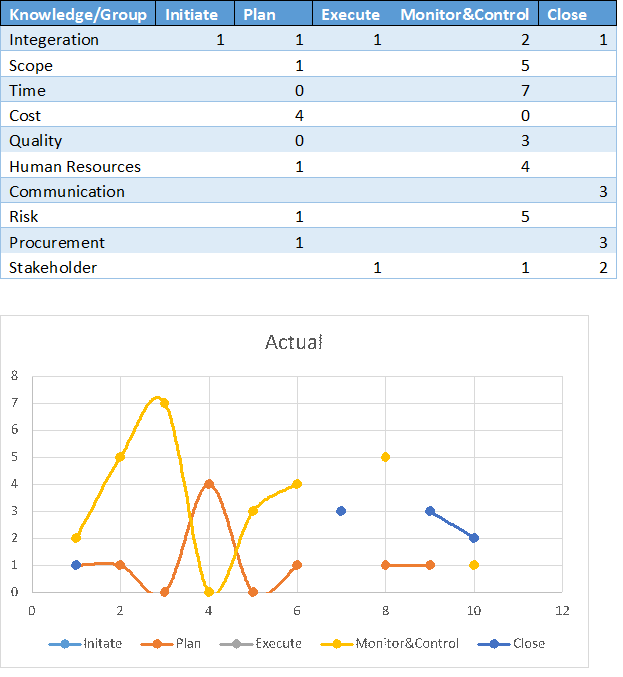 Procurement is thought of after initial project runs and misses! Having observed them should we should think further of project management best practices! Am pondering and expecting some of you also if you can add a thinking a bit to it.